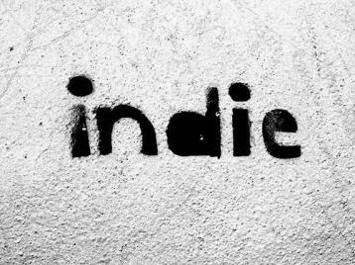 Has the Indie Scene Become Too Saturated? 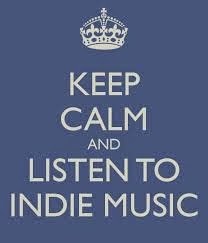 You might have noticed in some of my more recent posts that I have mentioned how I'm a bit bored of the indie music scene right now. Since late 2013 I really find myself in anticipation for some great music in the genre, but not even just that, something that dares to be slightly different from all the other mass bands out there. Granted, there very well may be some solid bands out that which I'm unfamiliar with or have overlooked. Hopefully, that will change in the coming months, but right now I feel the genre has become too saturated. What I mean by that is the genre has become filled up with the same and more repetitive sounds. It's true that in order to fit a genre, it obviously needs to have elements that generate that label and other bands share similarities, but something needs to change. When I started this blog in 2010 it was not only a way for me to share some great hip hop and indie bands, but a way for me to discover new ones and then share to anyone that reads the blog. Eventually, I expanded my pallets to electronic, folk, pop, and EDM, but most of you who visit frequently probably noticed I have not written many posts about indie tunes. I wanted to clarify that this is not because I'm following the next trend of music or lost faith in the genre, I just feel the lack of quality in submissions and sound hasn't been right where I want it to be as of late. I've heard some decent indie tracks here or there over the last few months, but it hasn't gotten me excited in the way it used to. Maybe my music snobbery has decreased and I've become too passive (that "Meh" attitude) or maybe it has reached an all time high. Either way, I love indie jams and I miss the originality, experimentation, and the instrumentation. I think there are a few indie bands making some great music and I will occasionally pop them up on the blog, but it's rare anymore. It's true that this really can happen to any genre, as I think for some time hip hop was having the same effect, but surged once more in the last three years. Now, maybe it is just the indie music genre to go through some down time before it re-discovers itself in new ways. I don't really know nor do I have a answer. A lot of you will probably disagree and think I'm totally wrong, but this is just my view. And please, comment or send me emails of great indie and alternative bands you feel would fit my need for something new or why they might offer something different to the scene as I'm always open to that. I do have high hope for 2014 as the music apps, streaming services, and the amount of young talent continues to emerge, I have plenty of faith that there can be a revival in the genre and more great acts will be discovered. As of now, I've been completely smitten over these new electronic sounds that producers like Sango, Kaytranada, Stwo, Ryan Hemsworth, Hudson Mohawke, Lunice, and others have started. Each bringing a different aspect and element to electronic. So as of now, I will continue to plug away some great tunes and hopefully in the near future you'll see more indie acts emerging on the blog. And know that when they do, it'll be something to check out because my passion will once again live for the genre. Nah, I agree. Keep doing this though, please. Found some awesome music through you.